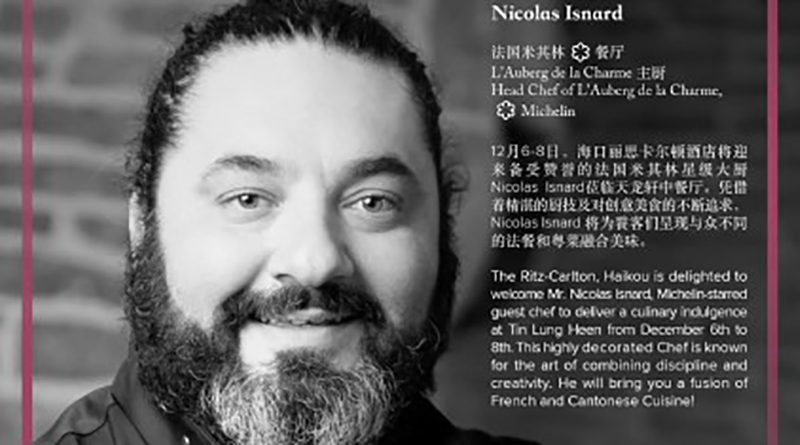 The Ritz-Carlton, Haikou is delighted to welcome Nicolas Isnard, One-Michelin Star Chef, to deliver a culinary indulgence at Tin Lung Heen from December 6th to December 8th. 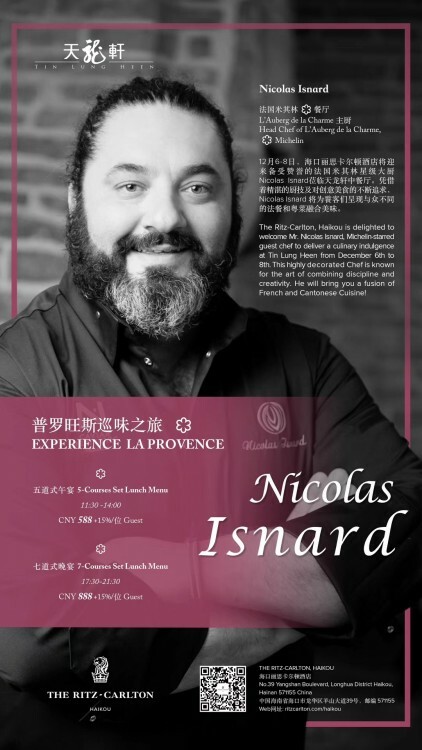 With the tradition and innovation in Chef Nicolas Isnard’s craft, we will delight the senses with a fusion of French and Cantonese Cuisine. 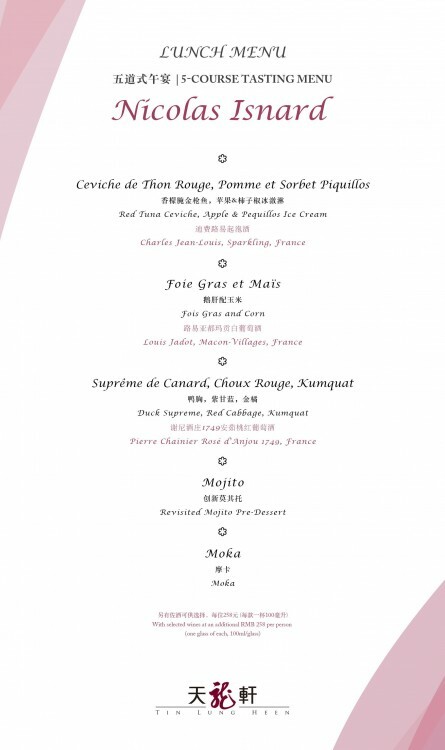 Special offer through The Ritz-Carlton, Haikou Official WeChat at RMB 558 Net/Guest. 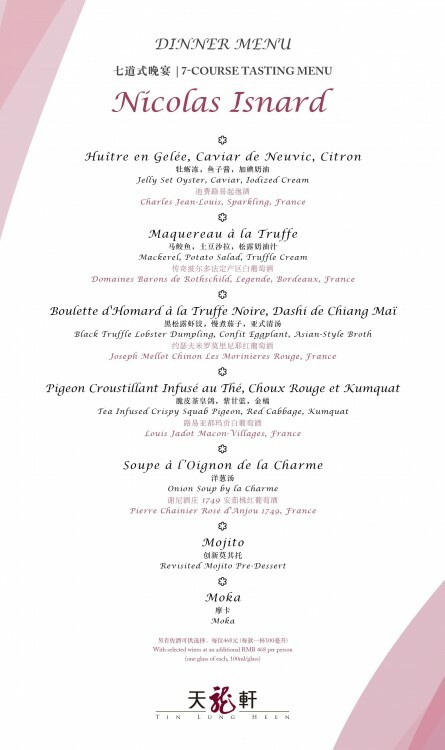 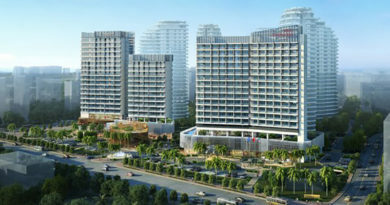 Special offer through The Ritz-Carlton, Haikou Official WeChat at RMB 858 Net/Guest.